Most people keep their true selves hidden, especially when they want to impress someone. This fact has a way of biting people in the butts when dating. You meet a guy or girl, both are looking for a relationship, and it's only natural that you want to show off your polished attributes while hiding your more tarnished side. After all, when you're first meeting a possible romantic partner, you don't want them to know that you roll your socks up into balls, or leave the toilet seat up after you've gone to the bathroom. However, some people are better at hiding their true selves than others. Sometimes you can be in a committed relationship before you learn that your partner has some unsavory attributes that he or she had successfully kept hidden until now. While leaving the toilet seat up might be mildly annoying, the fact that your new live-in partner likes to punch holes in walls or flying ashtrays at your head when angry, isn't something that can be passed off as annoying. There are a few ways that you can test their personality before you commit. For instance, watch how they react when under stress. Most people can keep their true selves under wraps when everything is right in the world, but can't maintain the mirage when under strain. Watch carefully how they react when angry, sad, annoyed or upset. In most cases, this is when their true colors will come shining through. You can also watch how they treat the people around them. Does your new boyfriend treat his mom like a queen? Does your new girlfriend maliciously gossip about everyone when hanging out with her friends? If so, you can bet your bottom dollar that this is an indication of what they are like when not trying to impress someone. You can also watch how they interact with strangers. Suppose you go out to a restaurant for a bite to eat, and the waiter brings them an order of shrimp, instead of the clams they originally ordered. Do they react angrily? Or do they just shrug it off, make a joke, and wait calmly for the waiter to fix their order? If they are a jerk over something so easily corrected, how are they going to be with you, if you screw something up? Everyone makes mistakes, but ideally, you want a partner that's going to be understanding, and not over-react. The bottom line is, that people have a hard time pretending to be something they’re not, when the going gets rough. Every relationship has its ups and downs, and you want to make sure that when the going gets rough…your partner isn't a jerk. By watching their actions and reactions beforehand, you can spy out potential relationship ending problems that will crop up in the future. 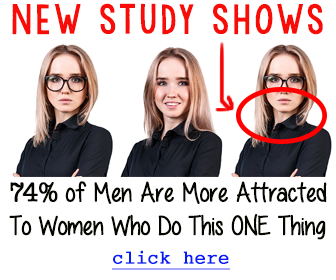 If you think you have found your perfect partner, but have no idea on how to make him commit, then check out our ultimate guide on how to make any guy commit to you.